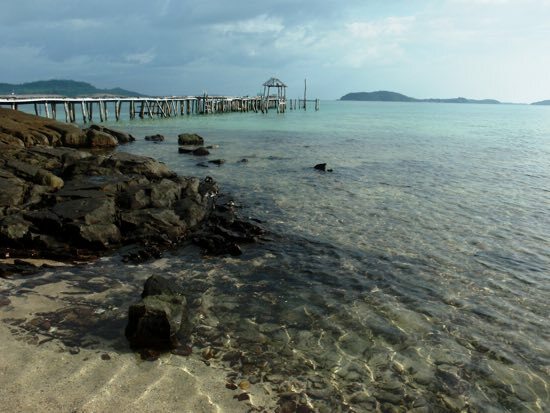 Photo: Just another pier, Koh Totang. Nomads Land is tucked away on the southeast side of the island, with a jetty at the end of the small, sandy bay. 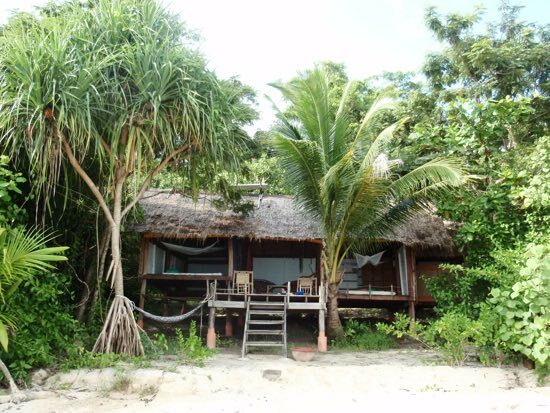 The beach is clean, the turquoise waters are clear and the bungalows shout flashpacker — for wooden and bamboo huts, they’re done up very well. This place features extremely high on our list for the best idyllic island getaways Cambodia has to offer. There are five bungalows in total which come with private patios, yet all have a distinct look and varying sizes — they sleep from two to four, or even six if you’re with kids in the largest, Villa Boulon, where we stayed. It offered a double floor mattress and large, separate lounge (where another mattress easily fitted) with ensuite bathroom. The bungalow was open-sided though there was a screen you could change behind and plastic covers on the side that could be lowered in case of rain. The bathroom was built-up for privacy, and you could stand and see the sea. One area where Nomads Land excels is in its level of attention to detail, right from the start when one of the owners Ariane brought all guests a welcome drink on arrival delivered with a warm smile. 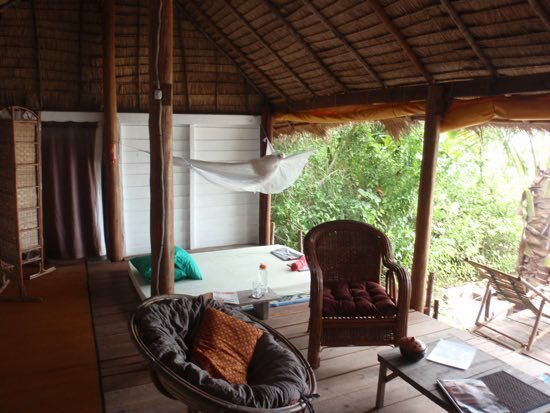 In our room there were homey decorative touches like shells on the shelves, rattan floor mats and a driftwood coffee table adorned with glossy travel magazines. The purely practical was also not overlooked: a large, rat-proof plastic storage box was provided, insect coils, deck chairs on the porch, umbrellas in case it rained, ample shelving to put your things on in the bedroom area, living area and the bathroom, toilet paper and an entire bag of extra rolls, tissues, a mirror in the bathroom, and — an utter rarity in Cambodia — a fire extinguisher. We would have loved to have unpacked our backpack and stayed several more days here, as you could easily settle in instead of semi living out of your luggage due to inadequate storage, as is the case in many cheaper bungalows. The bathroom of Villa Boulon also made the most out of the fact there’s no running water on the island; it’s all collected on the island during rainy season and filtered. The level of rusticity was offset at least a little by the fact it was made to look nicer than many places that do have showers and flush toilets. Nomads Land prides itself on its eco credentials so the toilets are dry — sawdust is provided and a Western toilet seat built over a bucket. There’s only a bucket shower, but it was a large ceramic bowl with a tap to fill it up, making it much more enjoyable than the plastic scoop we are usually used to. If you fancied a change of scenery from your own bungalow there’s also the communal area, with a reasonable book collection. Dinners are communal buffets, lunch is fixed and there’s a choice for breakfast; dietary requirements are catered to as much as possible. It’s mostly organic and fresh — no MSG, or palm oil in sight. The food was fabulous — hearty and plentiful rather than pretentious, with the likes of barracuda and mango at dinner, or Moroccan eggs (Karim, co-owner with Ariane, is Moroccan) and the largest pancakes known to mankind for breakfast. Drinking water is purified on-site; everyone gets personal refillable water bottle for $2 for the duration of your stay. Food can normally cost an arm and a leg on the islands with prices heavily inflated but at Nomads you don’t need to hold back — it’s all included in the room rate. While this makes the headline price for a double for two people, $90, seem very high for accommodation that’s lovely but still just made of wood, when you consider you often have to spend $6-7 for a main on the islands it works out as appropriately priced, in line with the more comfortable offerings on other islands. The room rates do not include drinks. Solar panels are used for power. Electrical items can be charged in the communal area during set hours in the daytime. Lights run at night in the rooms, though are quite dim. 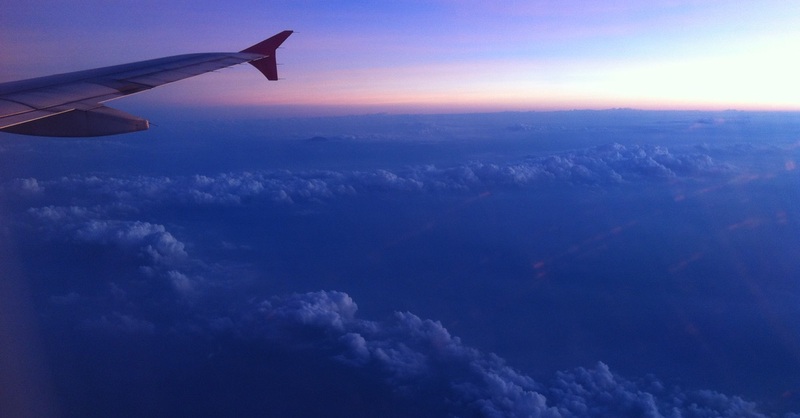 Nomads Land closes for a stretch over the low season, re-opening around the Water Festival in November. 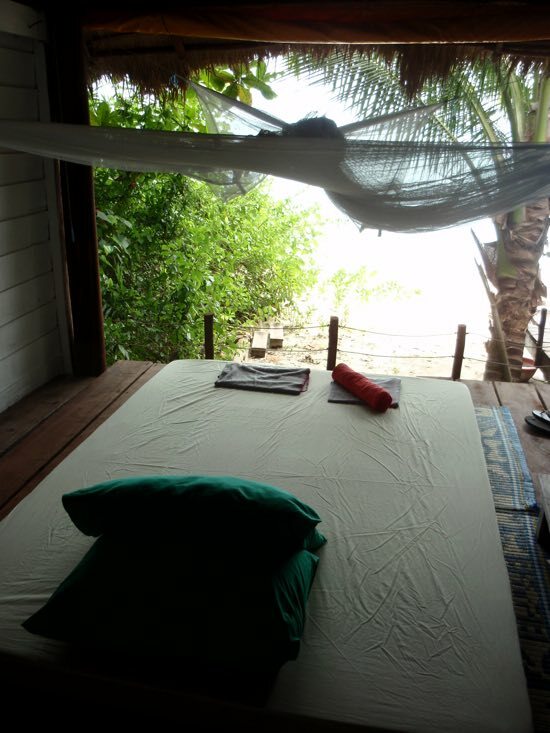 If it’s full, we suggest you look to Lazy Bach on Koh Rong Samloem. These two properties are not designed for those on a shoestring, but offer the best overall combinations for a quiet stay while not forgetting the importance of good service, food and a functioning and welcoming bungalow. Recommended. There is no WiFi, but phone service is accessible on the island through the likes of Metfone. For guests travelling with children, they charge 50% of adult prices for ages between 6 and 12, and under 6 stay and eat for free. Disclosure, Nomads Land was not reviewed on an anonymous basis. 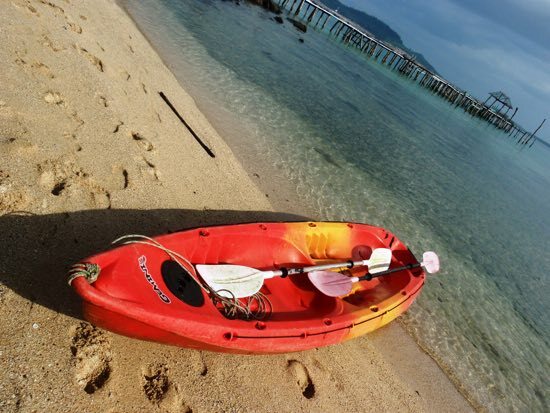 Where are you planning on heading to after Koh Totang? Here are some spots commonly visited from here, or click here to see a full destination list for Cambodia.